As we discussed previously, surgical and non-invasive fat removal are among the many ways to achieve a smooth, toned appearance. Today, the options span from surgical liposuction to an array of non-invasive body contouring techniques that forego the investment and invasiveness of a surgery to reach similar results after multiple treatments. At a glance, non-invasive body contouring sounds almost too good to be true, but these techniques are gaining in popularity as they meet the demand for lower-risk fat reduction and alternatives to surgical procedures. Non-surgical options have become more plentiful, especially as medical experts have sought low-risk ways to target fat that don’t require anesthesia and have minimal recovery and downtime. Freezing undesired fat is the technique that has been available the longest and is also the most widely known. This technology was created by a doctor who realized that children who ate cold popsicles tended to have a lack of cheek fat; he theorized that when these fat cells in their cheeks are frozen, the fat goes away permanently. This finding gave way to freezing technologies, which use controlled freezing temperatures to destroy fat cells. These treatments are specially designed to use cold temperatures that affect fat cells without inducing harm or frostbite to the surrounding skin areas. It accomplishes this with a suction and chilling device that introduces cold plates and suction to the treatment area (typically the “muffin top” area of the abdomen or waist). The cold plates are applied to both sides of the area while the suction holds it in place for about an hour. Following the procedure, the treated area can feel numb, a little uncomfortable, and can become hypersensitive. Following a treatment that uses cold temperatures, some individuals experience numbness that remains for several weeks or months, whereas others find that normal sensations can return more quickly. This is because nerve cells in the skin are temporarily affected by the cold temperatures. An example of a fat freezing treatment is CoolSculpting. A number of laser-based technologies are available today that effectively rupture or destroy fat cells. The types of lasers used can vary; sometimes they are warm or cooler temperatures, and often as many as four applicator packs (around the size of a cell phone) can be applied to the skin at a time. The laser light then shines through each applicator, rupturing the fat cells underneath. Again, up to four areas of that size can be treated at once with the current technology in about half the time of a freezing-based treatment. As with cold temperature treatments, areas of varying sizes can be treated with multiple small applicators. Each technique involves some discomfort, but how long the discomfort lasts varies by procedure. For example, with the laser-based SculpSure®, the treatment time is about half as long as with CoolSculpting®. Lastly, Instead of chilling the skin and freezing the fat, laser-based treatments warm the skin. Many find the discomfort caused by heat to be more tolerable than the cold achiness of freezing techniques. 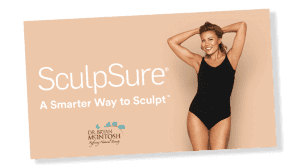 SculpSure® is an example of laser-based fat reduction treatment. Fat removal via injection, specifically by using a clear liquid medication called deoxycholic acid which can dissolve fat, is another option available today. This chemical is actually an agent that the body produces naturally when fat is ingested. The treatment, marketed under the brand name Kybella®, is FDA-approved for targeting fat specifically in the under-chin area, where many people seek to eliminate a bulge or “double chin” and add definition. However, doctors and patients are experimenting with Kybella in various places in the body. With injection treatments, an ice pack is used to first chill the skin. Next, using a very small gauge needle, the deoxycholic acid is injected multiple times throughout the target area, allowing the medication to diffuse evenly, dissolving the unwanted fat. An example of injectable fat removal treatment is Kybella®. Beyond cooling and heating, breakthroughs in medical technology have led to body sculpting treatments that utilize new ultrasound and radio-frequency (RF) based fat reduction treatments. With these types of treatments, a handheld device delivers pulses of ultrasound or RF waves to target fat cells for around 60 minutes. This produces some discomfort and heat, as well as a tingling or ‘pins-and-needles’ sensation, depending on the procedure. Some sonic-based procedures do leave signs of treatment, such as bruising, redness and swelling. Like all other body sculpting techniques, multiple treatments are required to achieve the desired end result. Visible results are seen three to four weeks following treatment, with maximum results at twelve weeks, which is much longer compared to laser-based treatments. Examples of sound-based fat reduction techniques are Ultrashape, TruSculpt, LipoSonix. In addition to their end-goal of permanently eliminating unwanted fat cells, non-invasive fat removal techniques have many essential features in common. The body processes dead fat cells naturally by metabolizing them through the lymphatic system. With most treatments, a minimum of one month is advised between treatments to ensure the body has sufficiently cleared the treated fat cells. Depending on the technique type and duration, pain and discomfort ranges from minimal to moderate. As alternatives to surgical procedures like liposuction, non-invasive techniques do not involve sedatives, stitches or extensive down-time for healing. Results vary between procedures, but in all cases the results are not instantaneous — they may take multiple weeks to fully appear. Multiple sessions or treatments will be needed to produce the desired slim and sleek end result. At a glance, the procedure duration seems to vary only slightly between treatments. Thirty minutes with a warm laser, a quick injection, or an hour with cold temperatures or ultrasound waves; how different can they be? Quite different, actually. Cold temperature fat removal, for instance, can have an all-over chilling effect, which some patients do not tolerate well. People occasionally need to be wrapped up with blankets and given warm fluids during and immediately following treatment in order to stay relatively comfortable. Thus, it’s important to consider what you personally would tolerate best, as it’s not the same for everyone. 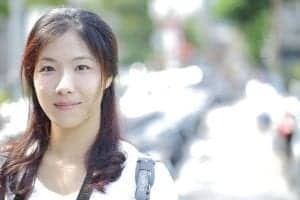 While each of these procedures are non-surgical, different treatment methods can produce very different side-effects with their own recovery time. With injection-based fat reduction, probably the quickest treatment type, a single injection can result in pretty significant swelling lasting about three days. This swelling can be difficult to hide, and for this reason it’s important to consider the timing of treatment. Many opt to have this done on a Thursday or a Friday, so they can be back to normal by Monday or Tuesday. Cold-temperature treatments can create temporary hardening and firmness in the tissue, which can take weeks or months to soften up. It may also cause numbness, tingling, changes to the skin’s sensation, as well as swelling and/or bruising. Similarly, sound-based treatments can cause bruising, swelling and redness that take time to heal. Relative to surgical fat removal, these are incredibly minimal side effects; however, non-invasive treatments still need some accommodation and forethought, as these are not desirable for someone planning to head poolside or off to a sunny getaway. Most non-invasive fat removal treatments advise at least two treatments for optimal results. This means that each of the aforementioned treatments, including their discomfort and side effects will need to be multiplied by two or three (or more). Obviously this depends greatly on the end result desired, so it’s important for anyone considering the noninvasive route to be realistic about their expectations and factor this into the selecting a treatment type. Time needed between treatments for the above to subside. Dramatic swelling in the treated area, requiring 2-3 days recovery. Bruising, redness and swelling may occur in treated area, requiring days or a few weeks to heal. It’s important to find a cosmetic surgeon that is properly trained and experienced in cosmetic surgery. You might be surprised to learn that there is no federal oversight requiring a surgeon to be specifically trained in the procedures they offer, and many doctors trained in only general surgery can offer cosmetic treatments. The American Board of Cosmetic Surgery is exclusively dedicated to cosmetic surgeons’ education, training, and certification, and a board certified cosmetic surgeon will have specific training and expertise that doctors from other fields will not. Different areas of cosmetic surgery require different skills, and it’s critical that the surgeon or practitioner is trained and experienced in the procedure you are pursuing. Asking questions such as how long and how many times have they performed the procedure and how training was conducted will give you a better sense of their competency. It’s important to feel comfortable with the cosmetic surgeon you choose. Do they seem to understand your goals and aesthetic? Are they listening to you and delivering targeted guidance during your consultation? Are you able to ask questions? All of the above are crucial factors to your satisfaction with the experience and end result. Non-Invasive Fat Removal – Is It Right For You? New fat removal treatment technologies can accomplish results relatively quickly and painlessly, with almost no down time for recovery. But at the same time there is no one-size-fits-all solution, so it’s very important for those seeking a non-invasive solution do their research and ask questions. Don’t simply consider the end-goal of the treatment; leave time to consider the nuances of each technology and your personal preferences and needs. Then, when you are ready, find a board-certified cosmetic surgeon to schedule a consultation with.